Why , Thank You, I think I will take 2. Last November I brought myself face to face with the need for respite. Fear of the unknown (read here ) kept me frozen in the decision for respite until I finally just closed my eyes and jumped in (read here ). Boy was I ever glad I did too. It was just a week and I didn't do anything that would qualify as special. I stayed home regrouping and close to the phone for contact if I was needed. It turned out to be a great relaxing week. I made special plans for this respite. I called without hesitation and set up the date. I planned on spending my 50th birthday with far away family and friends. Also reconnecting with my best friend from grade school. We hadn't seen each other in 34 yrs! 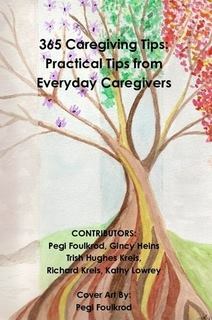 I also made plans to connect with some on line caregiving friends. People that have become very close to my heart and I've been chomping at the bit to meet. So I had these plans but was pretty reserved in my excitement for them, and if you know anything about me from reading this blog you know containing excitement isn't easy, but I did since I wasn't quite sure how Hubby would react to another stay in respite. I called in the prayer warriors too. Hubby accepted the news about respite quite easily. I waited until a few days before hand to tell him. I know that telling him anything far in advance will leave him time to dwell on things and it raises his anxieties. Thus raising mine, so it was comforting that he accepted the information as well as he did. Power of prayer. I bought iron on transfers and did the same thing with his undershirts. The morning came and I got Brother in Law (BIL) up and off to school. Hubby got up and I was able to get him ready to leave with no problems. The ride to the VA hosp was good. 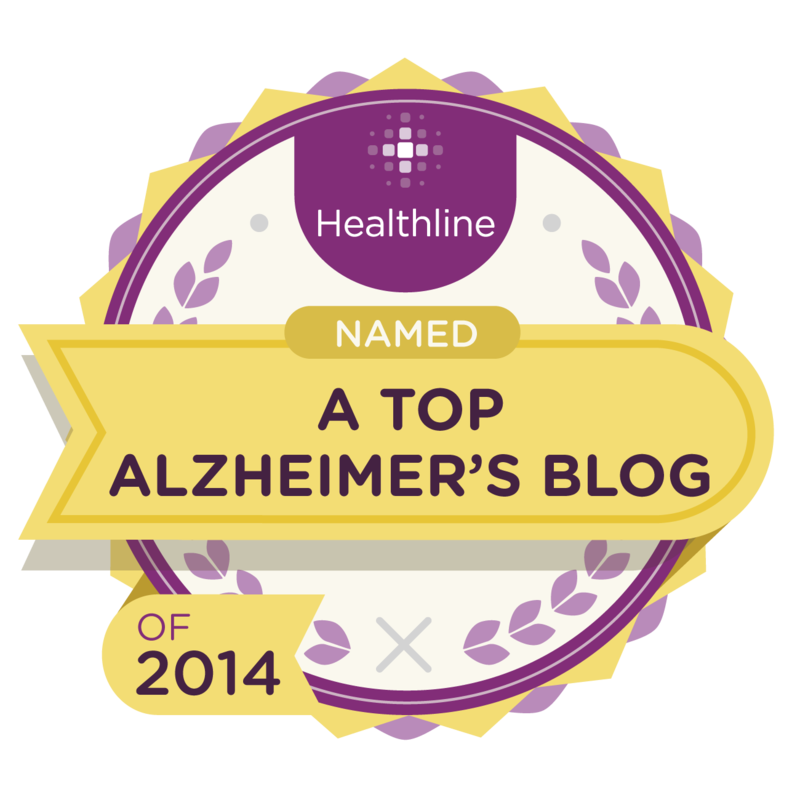 Once we arrived for intake, I took on my Lewy Body Dementia teacher persona. Nurse and I had a nice visit about it, pharmacist and I did the same. I made sure they had my numbers and emergency contact numbers. I had made a list of items packed and worn and gave to the intake nurse. 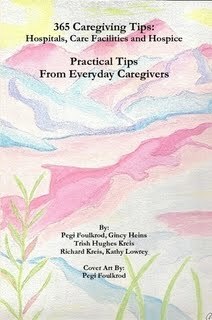 I also assembled information on Lewy Body Dementia for the staff to read and share. Hubby got anxious only once when I was leaving. He didn't know why I was leaving before he was settled in his room. I explained I couldn't stay and the nurse would take care of getting him settled. He was okay with that. He kissed me goodbye. I walked away and didn't cry this time. I believed he would be in good hands and I trusted my prayers to be heard and answered with a yes. I had a day and a half to get myself ready for my own trip. My excitement for the time was beginning spill out. I still had BIL to place with his sister but that was a piece of cake since he already has a living setup at each of the 3 homes he lives in. Now comes the part when I pull out my slides of my trip. Oldest daughter and her Hubby accompanied me as travel companions. Now I only had plans to do 2 things for certain. 1: Have a gathering on my birthday with family and friends. 2: Finally meet my on line caregiving friends. Son in law said that was perfect, meet strangers and have a party. Sounded like college to him LOL!! Yes, the rest of the trip was just as hilarious. We laughed the entire time we were gone. Our first stop brought me to face to face with my newest friend Bette. Bette cared for her mother, who had dementia, in her home for several years before her mother passed away last July. My heart ached for Bette, rejoiced with Bette, cried and laughed with her. How could I pass through her state and not find her? Bless her heart for taking the time to come meet and visit with me. It was like seeing an old friend and I hated leaving her when our time was up. Oldest daughter, Son in law and I continued our travels arriving in NY state, the place I was raised. We did the typical sight seeing at the Falls and I filled my heart with the joy and love of being with my family and friends. The only bad part about it was that I didn't get to see everyone I wanted to. Fun part was reconnecting with my second grade teacher! Our next destination took us to the outside of Chicago. Oldest Daughter, Son in law and I made our way to the Sears Willis Tower for the last stop of our vacation. 1400 ft, 103 floors up and we even stepped off into the glass bottomed ledge. Confession, I walked in backward looking up and did a lot of nervous laughing. I had a spectacular view of the beautiful city and to top it all off, I got the sunset. It was a perfect ending to my perfect respite. We headed home the next morning and I returned refreshed and rested. Normally in whirlwind travel we can feel tired upon return. Nope, this respite was just what the Dr ordered. I even had a few days before getting Hubby to catch up on laundry, visit the dentist, take our dog Booger to the vet and get BIL resettled into his routine. You might be wondering, "Did she even think about Hubby while she was gone?" Oh yes, I did. Even though I was enjoying my respite time away I still kept Hubby in the forefront of my mind. I called all but 2 days to check on him. He did well and adjusted easily. He had one slide out of his wheelchair without injury and it was reported on one day that he was having some anxiety and was a little irritable. I laughed at that and said he was having a good day then ;-) But overall, his stay was a good one. The day to get him arrived and as I walked into the wing Hubby was in I saw him sitting in a wheelchair in the hall. He looked good but I could tell there was a decline. He didn't smile at me when I walked in but he did smile at me when I spoke to him. He wasn't ready to leave so we went into his room. We were met by a male nurse and we all hopped in to get Hubby dressed and packed. Hubby needed to use the restroom and had been in there awhile so Nurse stepped in to see if he was ok. I overheard Hubby ask Nurse "Who is that woman?" I laughed out loud! I think that was the first time Hubby has not recognized me. For a long time he hasn't "really" known who I am as his wife, but he has always recognized me as someone he knows or is familiar with even when he gets me confused with the "other" Kathy. When he came out of the bathroom I had him packed. I handed him his hat and asked him if he was ready to transfer into his own chair and go home. His answer was "Yes, but lets get one thing straight before we do. Who are you?" I explained I was the love of his life and the woman he couldn't live without LOL!!! He kept asking me about the "other Kathy". The nurse assured him that I was the same woman that was there last time he stayed with them. I offered that I had colored my hair to remove my natural highlights so that might be confusing him. He accepted what he was told and came home with me even though I could tell he wasn't quite sure. We made a few stops on the way home. We had lunch with Youngest Daughter, Other Son in Law and Youngest Grandson. All familiars to Hubby. We stopped to see a friend of Hubby but we didn't stay long as Hubby had physical meltdown. I finally got him home and settled in his bed. The next day we had to go back to the VA for a hearing aide appointment. Hubby has complained about hearing for a while and to be honest, even though he does have some hearing loss, I believe it is less his ability to hear and more his inability to process the words. On the way home he complained about the noise and half way home of our 70 mile trip, Hubby had another meltdown physically and mentally. He slumped down in his seat and stopped conversing with me. I got him home and in bed but he was basically worn out for the rest of the day. Kathy diagnosis : Too much auditory stimulation for his brain to process sent him into automatic shutdown. He has not worn his hearing aids since. Hubby's 3rd day home had another Dr appointment scheduled but at the facility closest to us about 20 miles. We finished early enough to take Sonny Boy out for his belated celebratory birthday lunch. Hubby did well this time but became very needy as the day and night wore on. As soon as he needed one thing I was trying to get and do for him, he needed or wanted something else. I felt like I was running through myself for him. I stopped and stared at Hubby and laughed. I had just been on an 8 day whirlwind road trip and felt great and Hubby was home 3 days and I was exhausted! I learned a few things about myself and life in general on this respite. NEVER EVER color your hair the day before you travel IF you are using a new brand. You might wind up with an intense color. Secondly, If you plan on having pictures taken make friends with spanks and do not pack the pants that might fit in the back but cut you off in the middle. You could end up looking like a sausage with a rope tied tightly in the middle. And Third, don't brag about your running ability if you can't run faster than the people in Chicago are walking! Kathy, I'm so proud of you for taking that respite! Yahoo, girl! Keep up the great work of serving. I'm so glad you got away for awhile. It is so good for you. Sounds like hubby did okay while you were gone. I'm glad you had the opportunity. I'm so, so glad you had a good time; I'm quite certain you deserved it! What a lot of work to go through to do it-you're a good person. We were in Chicago this summer and had such a good time, now that I know Denise a little, I hope to meet her next time we're there. Take care of yourself! Joy Walker @ 3 years!